লেটিন ভাষাত নিউটনৰ প্ৰথম আৰু দ্বিতীয় সূত্ৰ, ১৬৮৭ খৃ:ৰ মূল নথি Principia Mathematica. দ্বিতীয় সূত্ৰ: কোনো বস্তুৰ ত্বৰণ a ইয়াৰ ওপৰত প্ৰয়োগ হোৱা বল F অৰ সমান্তৰাল আৰু সমানুপাতিক হয় আৰু বস্তুটোৰ ভৰ m ৰ ব্যস্তানুপাতিক হয়।, অৰ্থাত, F = ma. 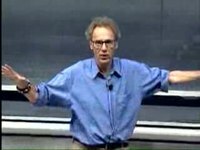 ↑ Walter Lewin (September 20, 1999) (English ভাষাত) (ogg). Newton’s First, Second, and Third Laws. MIT Course 8.01: Classical Mechanics, Lecture 6. (videotape). প্ৰকাশক Cambridge, MA USA: MIT OCW. Event occurs at 0:00–6:53. http://ocw.mit.edu/courses/physics/8-01-physics-i-classical-mechanics-fall-1999/video-lectures/lecture-6/। আহৰণ কৰা হৈছে: December 23, 2010. ↑ Browne, Michael E. (1999-07) (Series: Schaum's Outline Series). Schaum's outline of theory and problems of physics for engineering and science. McGraw-Hill Companies. পৃষ্ঠা. 58. ISBN 9780070084988. http://books.google.com/?id=5gURYN4vFx4C&pg=PA58&dq=newton's+first+law+of+motion&q=newton's%20first%20law%20of%20motion. ↑ Holzner, Steven (2005-12). Physics for Dummies. Wiley, John & Sons, Incorporated. পৃষ্ঠা. 64. ISBN 9780764554339. http://books.google.com/?id=FrRNO6t51DMC&pg=PA64&dq=Newton's+laws+of+motion&cd=8#v=onepage&q=Newton's%20laws%20of%20motion. ↑ [...]while Newton had used the word 'body' vaguely and in at least three different meanings, Euler realized that the statements of Newton are generally correct only when applied to masses concentrated at isolated points;Truesdell, Clifford A.; Becchi, Antonio; Benvenuto, Edoardo (2003). Essays on the history of mechanics: in memory of Clifford Ambrose Truesdell and Edoardo Benvenuto. প্ৰকাশক New York: Birkhäuser. পৃষ্ঠা. 207. ISBN 3764314761. http://books.google.com/?id=6LO_U6T-HvsC&printsec=frontcover&dq=essays+in+the+History&cd=9#v=snippet&q=%22isolated%20points%22. ↑ Lubliner, Jacob (2008). Plasticity Theory (Revised Edition). Dover Publications. ISBN 0486462900. http://www.ce.berkeley.edu/~coby/plas/pdf/book.pdf. ↑ 10.0 10.1 Galili, I.; Tseitlin, M. (2003). "Newton's First Law: Text, Translations, Interpretations and Physics Education". Science & Education খণ্ড 12 (1): 45–73. doi:10.1023/A:1022632600805. http://www.springerlink.com/content/j42866672t863506/. ↑ NMJ Woodhouse (2003). Special relativity. প্ৰকাশক London/Berlin: Springer. পৃষ্ঠা. 6. ISBN 1-85233-426-6. http://books.google.com/?id=ggPXQAeeRLgC&printsec=frontcover&dq=isbn=1852334266#PPA6,M1. ↑ 15.0 15.1 Plastino, Angel R.; Muzzio, Juan C. (1992). "On the use and abuse of Newton's second law for variable mass problems". Celestial Mechanics and Dynamical Astronomy (Netherlands: Kluwer Academic Publishers) খণ্ড 53 (3): 227–232. doi:10.1007/BF00052611. ISSN 0923-2958. "We may conclude emphasizing that Newton's second law is valid for constant mass only. When the mass varies due to accretion or ablation, [an alternate equation explicitly accounting for the changing mass] should be used." ↑ 17.0 17.1 Kleppner, Daniel; Robert Kolenkow (1973). An Introduction to Mechanics. McGraw-Hill. পৃষ্ঠা. 133–134. ISBN 0070350485. "Recall that F = dP/dt was established for a system composed of a certain set of particles[. ... I]t is essential to deal with the same set of particles throughout the time interval[. ...] Consequently, the mass of the system can not change during the time of interest." ↑ Raymond A. Serway, Jerry S. Faughn (2006). College Physics. প্ৰকাশক Pacific Grove CA: Thompson-Brooks/Cole. পৃষ্ঠা. 161. ISBN 0-534-99724-4. http://books.google.com/?id=wDKD4IggBJ4C&pg=PA247&dq=impulse+momentum+%22rate+of+change%22. ↑ I Bernard Cohen (Peter M. Harman & Alan E. Shapiro, Eds) (2002). The investigation of difficult things: essays on Newton and the history of the exact sciences in honour of D.T. Whiteside. প্ৰকাশক Cambridge UK: Cambridge University Press. পৃষ্ঠা. 353. ISBN 0-521-89266-X. http://books.google.com/?id=oYZ-0PUrjBcC&pg=PA353&dq=impulse+momentum+%22rate+of+change%22+-angular+date:2000-2009. ↑ WJ Stronge (2004). Impact mechanics. প্ৰকাশক Cambridge UK: Cambridge University Press. পৃষ্ঠা. 12 ff. ISBN 0-521-60289-0. http://books.google.com/?id=nHgcS0bfZ28C&pg=PA12&dq=impulse+momentum+%22rate+of+change%22+-angular+date:2000-2009. ↑ This translation of the third law and the commentary following it can be found in the "Principia" on page 20 of volume 1 of the 1729 translation. ↑ C Hellingman (1992). "Newton’s third law revisited". Phys. Educ. খণ্ড 27 (2): 112–115. doi:10.1088/0031-9120/27/2/011. "Quoting Newton in the Principia: It is not one action by which the Sun attracts Jupiter, and another by which Jupiter attracts the Sun; but it is one action by which the Sun and Jupiter mutually endeavour to come nearer together.". ↑ Resnick and Halliday (1977). "Physics". John Wiley & Sons. pp. 78–79. "Any single force is only one aspect of a mutual interaction between two bodies."